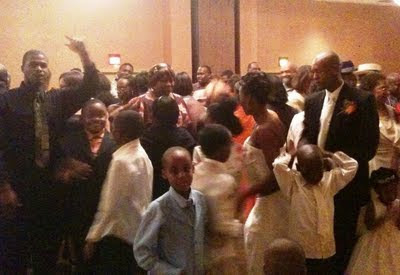 I had the honor of DJing Kimberly and Brian Wilson's wedding on October 10, 2009 at the Radisson Hotel. I met Kimberly at a wedding show back in January and she decided on the spot she wanted us at her wedding. In January, her and I had both recently got engaged and our weddings are only a month a part from each other so we had a lot of wedding planning stories to share with each other over the past several months! 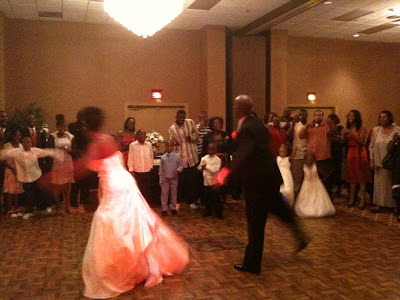 Her wedding could not have gone better so it was encouraging for me! Kimberly and Brian were truly some of the nicest people I have ever had the privilege of working with, and their families were just as pleasant. I admit, it was a little hard for me to hold it together during the toasts... they showed a lot of love and support! Oh and their first dance was something else! They broke it down to a mix of everything from Etta James to Michael Jackson to Soulja Boy! Thank you all so much... you were wonderful!